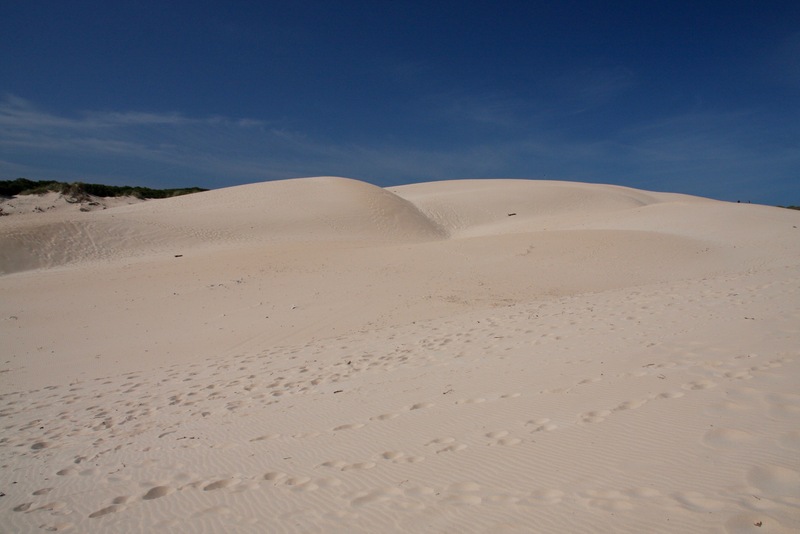 The dunes behind the Playa de Bolonia hides one of southern Spain’s great surprises. 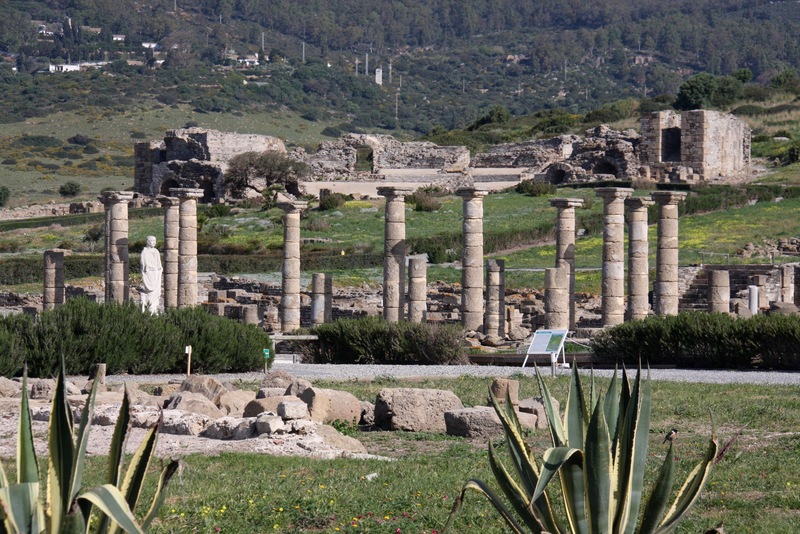 Here, in an out of the way part of the Costa de la Luz, sits one of the most perfectly preserved Roman towns in Andalusia. Backed by green hills, it’s a dramatic sight, and gives the golden sands and aquamarine waters of this magnificent cove an even more dreamlike quality. I can think of worse places to build a town. This may be the less popular Atlantic coast, but the beaches are both unspoilt and uncrowded, and the water is the same turquoise colour that you’d expect to find in the Caribbean. 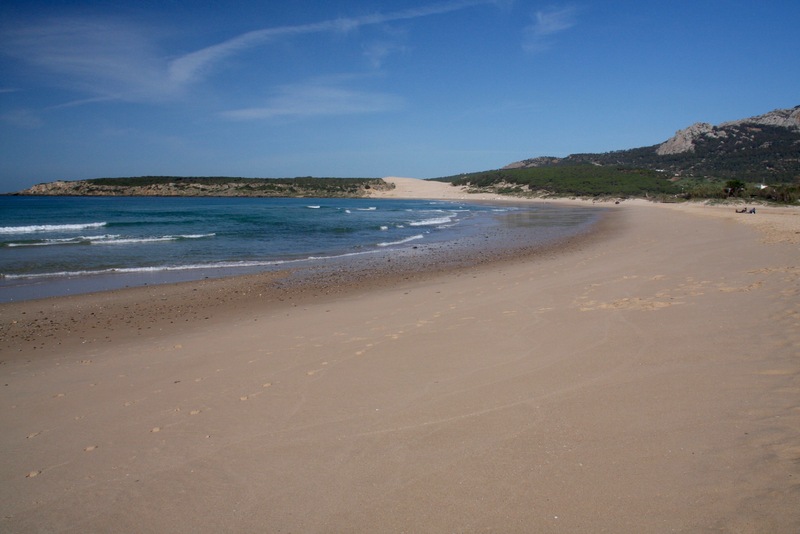 The wide arch of Playa de Bolonia stretches for over three kilometres, from a headland in the south to a huge and dramatic sand dune in the north. 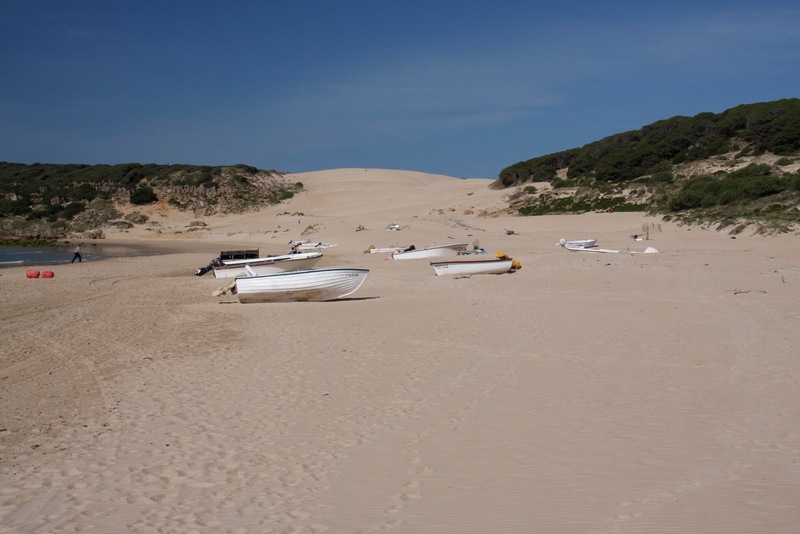 The cove is a beautiful sweep of unspoiled coastline that is worth exploration. We’d brought a picnic to have on the beach, but first we walked its length and climbed the dunes at the northern end to get fantastic views. 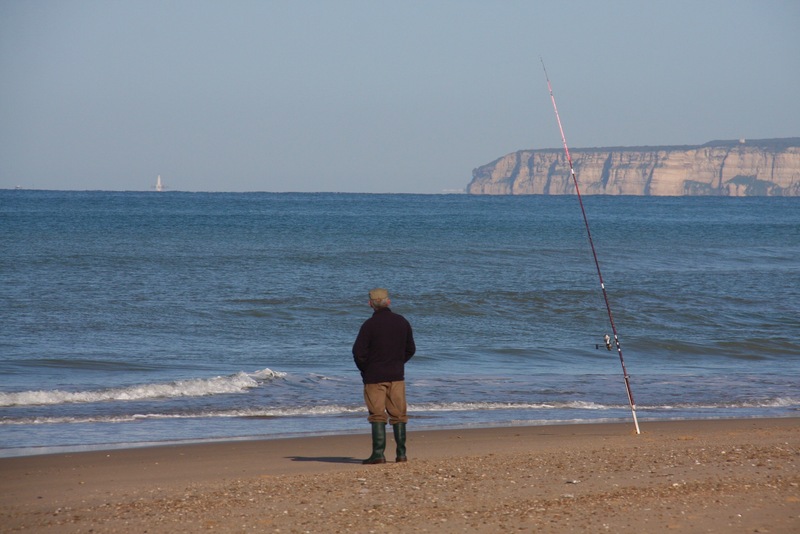 There were a scattering of fishermen, some dog walkers and very few other people despite the glorious weather. We stopped for a drink in one of the pleasant beach bars after descending the dunes, and then plonked ourselves down to have our picnic. This was the last day and our final stop on this road trip. In the morning we’d have to be back at Malaga airport to fly home. A day at Playa de Bolonia seemed like a perfect way to end the trip. After lunch we wandered over to the Baelo Claudia, the well preserved Roman town that was founded here in the second century BC, thanks to its strategic position for trade between North Africa across the Straights of Gibraltar. It became a wealthy city built on the trade in salted fish and the production of a liquid that fuelled the Roman Empire: garum. A pungent fermented fish sauce made with salted fish intestines that became liquid, garum was hugely popular in Ancient Rome. This smelly concoction was the condiment of choice across the Empire, and Baelo Cladio grew rich as a consequence. 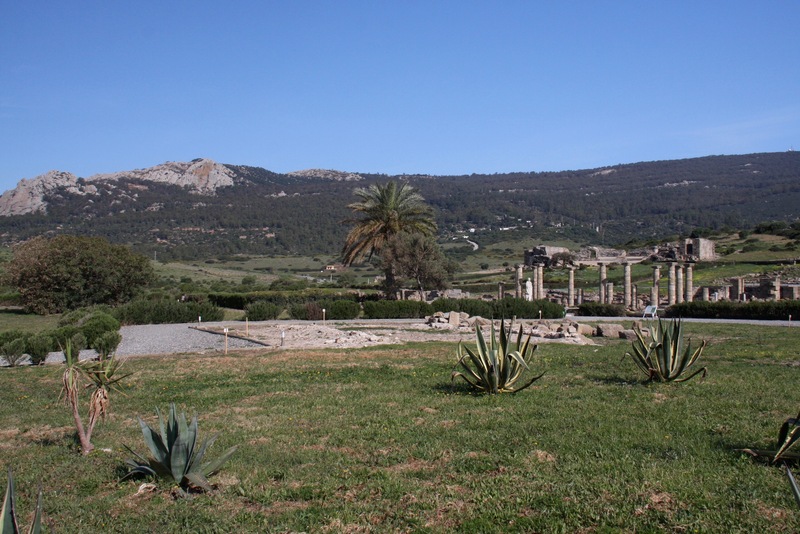 Declining trade and a devastating earthquake saw the city abandoned in the 6th century, but its isolated position and relative obscurity have meant that what remains today is well preserved. 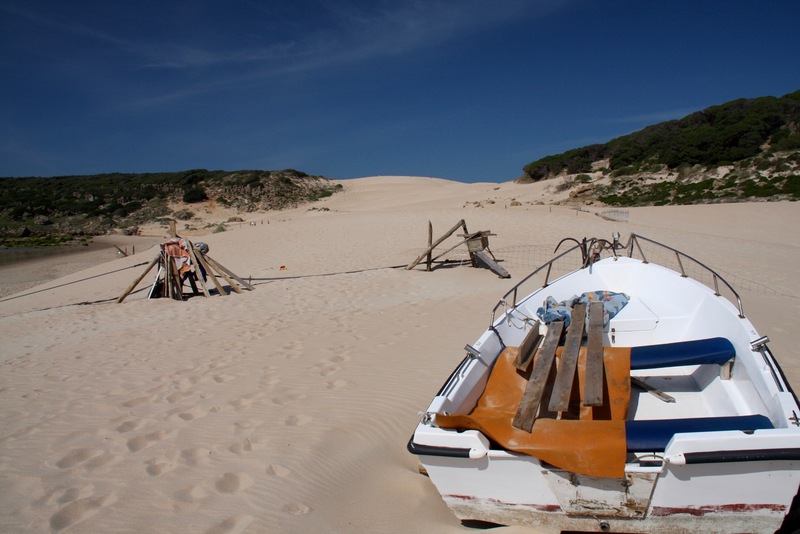 It certainly makes for a striking sight sitting just off the beach with a backdrop of hills. 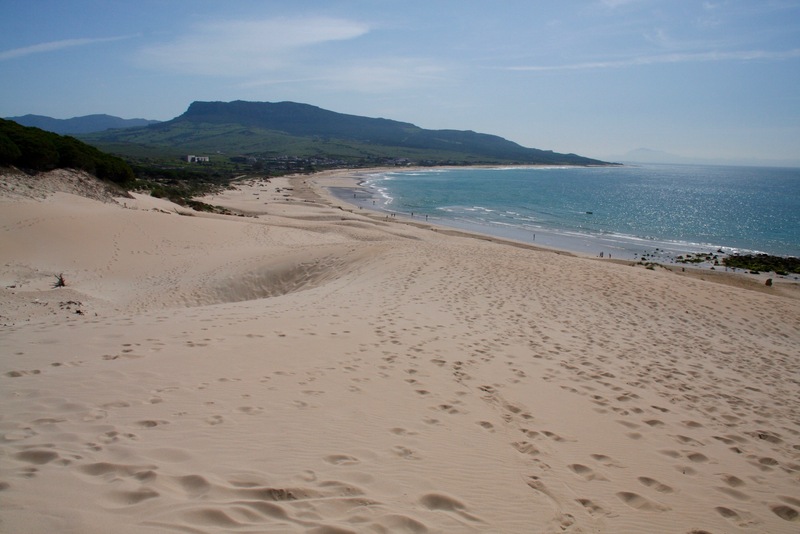 We’d driven through those same hills to get here after we’d had an early morning walk on the famous Playa de Zahara de los Atunes. 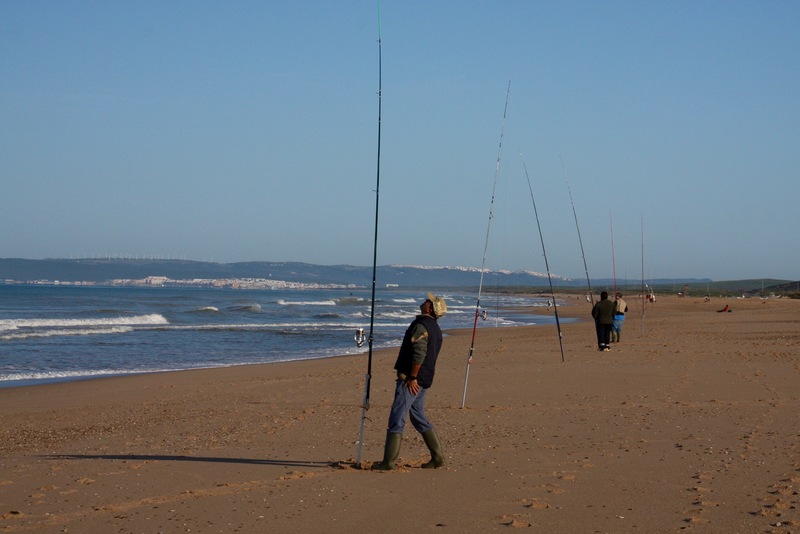 At over 6 kilometres in length the beach near the former fishing village of Zahara, stretches as far as the eye can see. 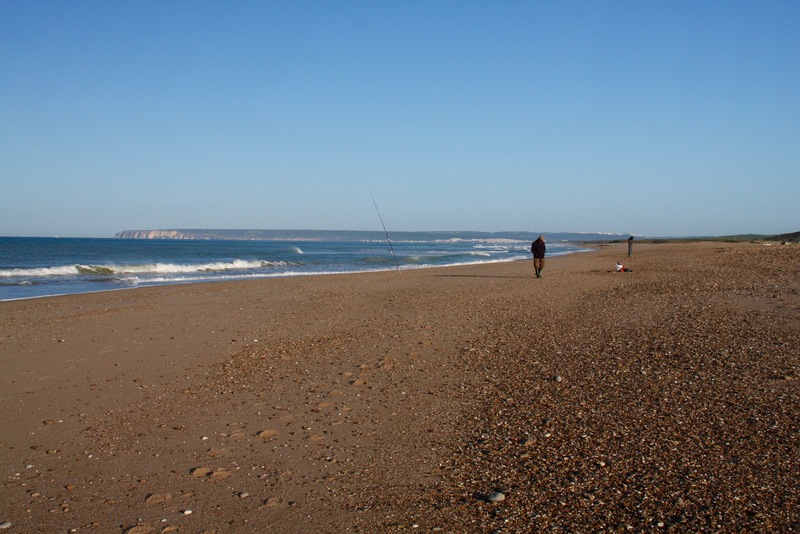 There was little activity other than fishermen and dog walkers, and we walked with only the wind for company. 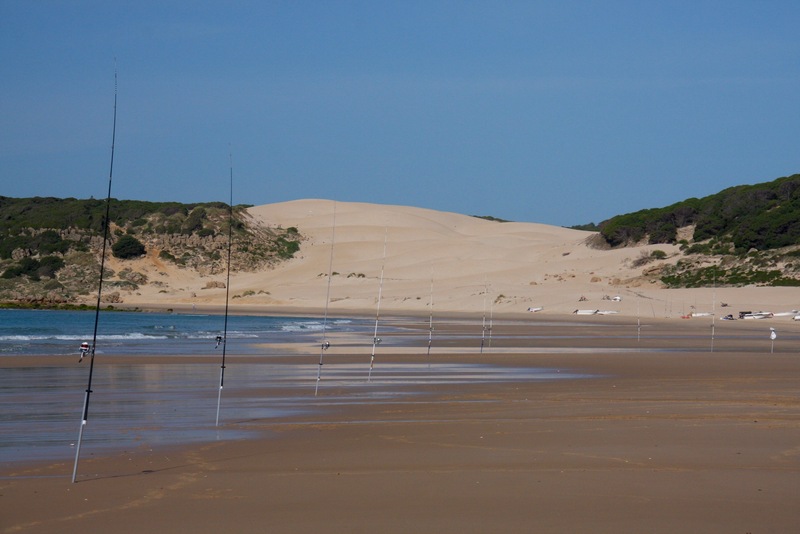 You can see a wind farm from the beach, but beachside development has been kept to a minimum. It’s a welcome result of planning laws that prevent developers from building high rise monstrosities. In summer there’s a lot of life, and nightlife, in the communities along the beach; out of season, it feels almost abandoned. 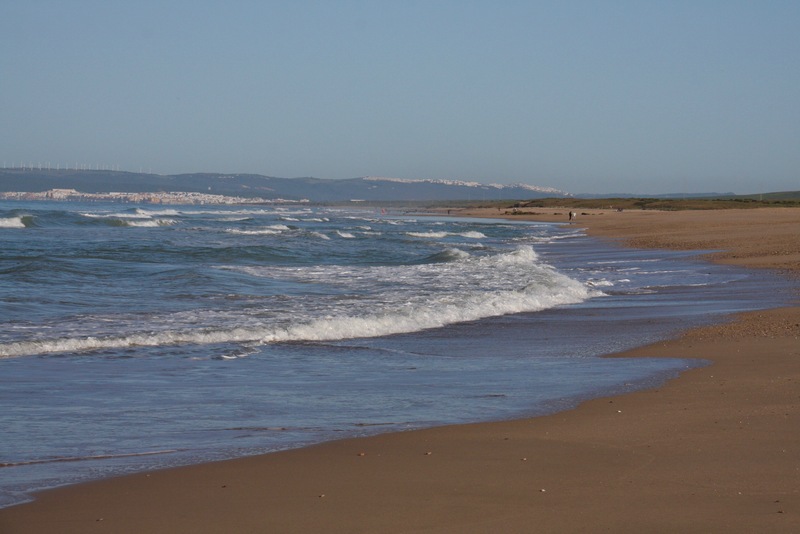 If your idea of ‘beach’ is more ‘combing’ than ‘lounging’, then this stretch of the Costa de la Luz is well worth a visit.